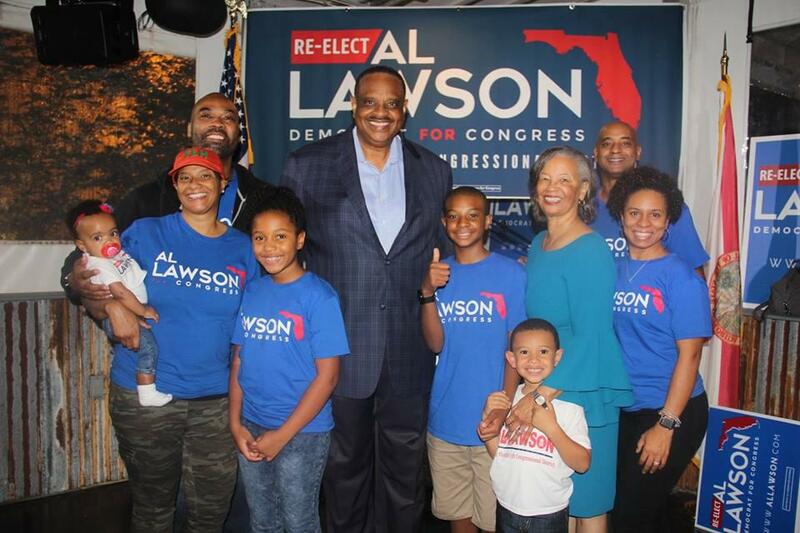 Rep. Al Lawson (D) poses with his family at his reelection victory party at The Moon in Tallahassee. Rep. Al Lawson (D) was all but sure to win re-election for his second term in Congress. Lawson was already looking to his next term after edging out a win in a tight primary against former Jacksonville mayor Alvin Brown. In a speech, he told a rowdy crowd he’s excited to get back to work. Lawson also wants to work on reducing student debt and pass gun reform. He’s pushing for greater bipartisanship in Congress. Lawson saidhe’s excited to take a day off after a long campaign, but admitted he’s got his work cut out for him this term.